Sadhvi Saraswati, the president of Sanatan Dharma Parivar Seva Samiti, addressed a convention in Kerala, discouraging people to eat beef. 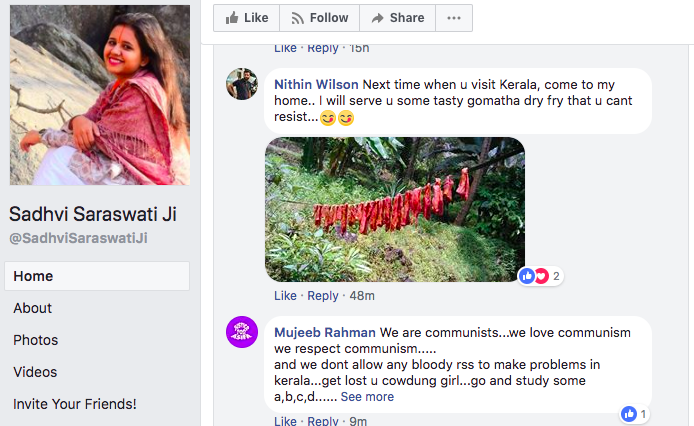 Following which, her Facebook page has been inundated with messages from some Malayalis who have been sending her beef recipes as well as images of raw meat. 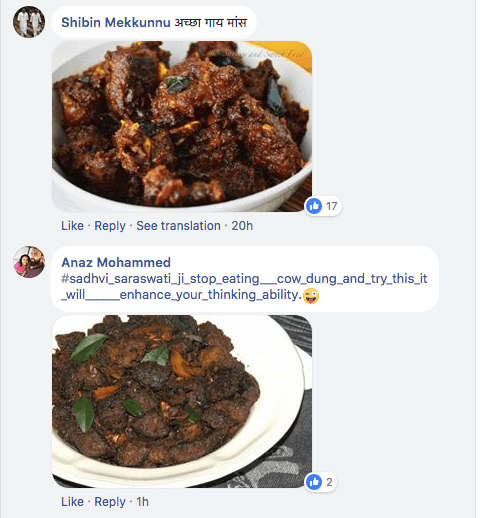 However, while sharing the story on the Malayalis who took sadistic pleasure in sending beef/meat images to Sadhvi Saraswati, The News Minute editor-in-chief Dhanya Rajendran used to ‘tears rolling down the cheeks’ laughing emoji to show her happiness and amusement at the same. Is this really a joke that you are laughing? A sadhvi was sent a photo of Beef, would you be same insensitive if a Maulvi was sent a photo of Pork? Have some shame Lady! Thou shall never make your hate apparent!! Mata Amritanandamayi, swami Chinmayananada, Narayan Guruji all from Kerala who preach/ed abt Gau Seva. I dare you to speak against them. By the way Shankaracharya was born in Kerala too. So much apathy for Hindus only? 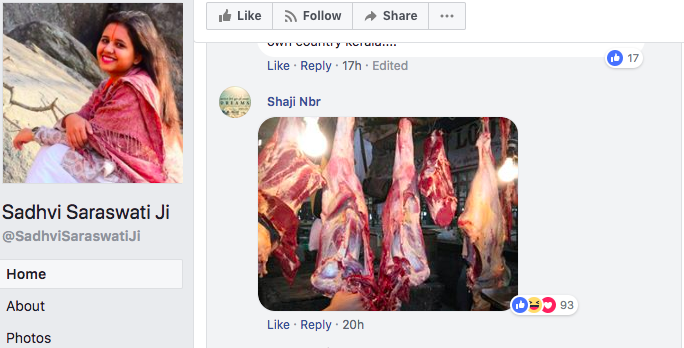 These are some of the comments on the Sanyasin’s FB page sent by Jihadis and their Marxist bootlickers. While deriding Hindus’ religious faith is not a new phenomenon in the Media, it is indeed surprising to see a new age platform show such insensitivity towards a young woman being subjected to online harassment.